Universal hitch mount cargo basket in non-folding version that fits all 2 inch hitch receivers. 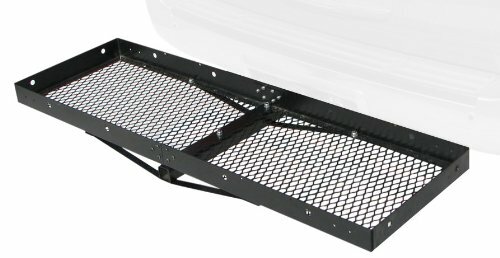 Hitch mount cargo carrier is an easy way to add more storage room. Durable black powder coat finish. Removes easily on and off the vehicle. If you have any questions about this product by Paramount Restyling, contact us by completing and submitting the form below. If you are looking for a specif part number, please include it with your message.